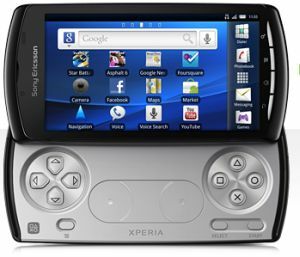 Mobile handset manufacturer Sony Ericsson has launched Xperia Arc, the latest in its Xperia range of mobile phones and Xperia Play, PlayStation-certified gaming smartphone in India. According to iNewsOne, the phones are priced at Rs. 32,000 and Rs. 35000. The phones are powered by Qualcomm's 1 GHz Snapdragon processor. Sony Erisson's Play (codenamed Zeus) allows users to play PlayStation games and features the dedicated keys gamers are so familiar with as well as the shoulder buttons. The Play has a 4 inch multi-touch 16 million colour screen and also sports a powerful Adreno 205 graphical processor. The Arc is a slim and light weight phone targeted at the fashion conscious mobile user. It is 8.7mm wide, weighs 117 grams and comes with the company's Timescape social application and TrackID music recognition.